Outdoor blinds add value to your property by improving its aesthetic appeal, protecting outdoor furniture and other valuables from the harsh weather elements and cooling down the area. But for effective operation and years of trouble-free service, it is essential that you clean them regularly and follow the appropriate maintenance guidelines. Do not roll up the blinds when wet. Allow them to dry completely before rolling them up to prevent the possibility of mildew (in certain types) or a cloudy appearance in translucent shades. In some cases, you might have to roll up the blinds when wet, especially in business premises. In such situations, roll them down and allow to dry completely at the first possible opportunity. In extreme wind or stormy conditions, it is best to keep your blinds rolled up. Though outdoor blinds are generally strong and can withstand heavy winds, extreme gale-force conditions can cause damage. Handle the rolling mechanism with care. Do not use force if zips, clips or straps get stuck. Gently try to free the blinds in steps, taking care not to cause damage. Spot clean regularly to remove any bird droppings, grass particles or leaves, soil, grease etc. so that dirt does not remain on the blinds. Clean both sides of the blinds regularly as per the cleaning instructions described below. Avoid any harsh scrubbing which could damage the surface properties. Never apply strong detergents, soaps, insect sprays or petrochemicals to the blinds. Most patio blinds Sydney are made from waterproof material so use as much water as you like. Before cleaning, remove any visible dirt using a soft brush. If any mildew is present, use very diluted chlorine bleach to wash the shades and brush clean with a soft brush. Do not use any detergents, soaps or other liquid cleaners as this can affect the fabric quality. A garden hose can be used to clean the shades thoroughly in place, preferably on a sunny day. Remove all visible dirt using a soft sponge in order to avoid scratching during cleaning. Do not use brushes for PVC blinds. PVC blinds can also be hosed down using low pressure garden hoses. Avoid using solvents or abrasive cleaners. Instead, use a small amount of dish soap diluted with water. Remove excess water with a soft towel and allow to dry in the sun. Timber blinds can be left natural after oiling or lacquered and painted in different colours. For painted blinds, the cleaning is easy. Simply wipe off the blinds using a soft, wet cloth. Natural blinds may need to be oiled once a year to maintain the timber’s condition. Do not use any kind of cleaning products on timber blinds. Timber blinds can be vacuumed using the brush attachment. Hold the blinds with one hand while vacuuming to avoid damage to the roll-up mechanism. Remove any foreign matter or dirt as soon as possible to ease the cleaning process. Clean outdoor blinds add beauty and character to your exteriors and increase the value of your property. If you talk to many sports fans, especially those who watched the NFL for the past few decades, generally speaking you will find that many of those fans always preferred seeing natural grass to artificial turf, but the truth is that synthetic grass as come a long way since the days of hard (and unrealistic looking) rubber turf. Actual synthetic grass has advanced to the point where it looks and feels much more like the real thing. This means it has so many more uses than in previous years past – even those that were only a few years old. There are many benefits to going with synthetic grass over the real thing, so read on for five reasons why you may want to make the switch! Synthetic grass doesn’t grow, which means no matter how much it rains you won’t have to mow the lawn. That is a big money saver in and of itself, and will help keep the neighbors from being angry when the mower is down and you let it grow for an extra week or two. The lack of needing a mower and the additional costs that come with it are a great benefit. There are many smaller benefits that come under this umbrella positive of going with synthetic grass. The lawn never needs watering aside from an occasional cleaning to get rid of dirt or clumps of debris like fallen leaves or blown seeds. The plastic grass doesn’t need water. Another benefit is that since the good look stays, you don’t need fertilizer or pesticides or soil treatments. With synthetic grass you’re not growing healthier grass or worrying about pests so there just aren’t those extra tasks, work, and expenses that you would normally associate with keeping a top notch yard up. This also means no weeds and thus no weeding. This can be a touch on the negative side if you like the occasional wild flowers popping up but generally speaking this keeps a beautiful uniform look. Durability is a major benefit of synthetic grass. Drought or drought-like conditions won’t burn up your lawn or make it a problem. Too much rain won’t drown out your lawn since the grass is synthetic. In addition to this, synthetic lawns are designed to last for many years, and maybe even decades. To reassure people worried about wear, most Sydney synthetic grass is stabilized for UV impact so the synthetic lawn won’t fade, either. Synthetic grass looks a lot more like regular grass now, and is meant to feel the same way, as well. Synthetic lawns are now comfortable, feel great, and are safe for kids and pets. Many cities are even beginning to make this move because it requires less maintenance, looks good, and with no mowing or pesticide and fertilizer treatment needed, there’s no exposure to chemicals. That’s good news for kids, pets, and people alike. Finally, it’s worth noting that synthetic grass consistently gives you a great appearance without having to make a heavy handed effort. No weeding, no watering, no mowing, no fertilizer, no pesticides, no careful trimming, and yet with an occasional rinse it doesn’t matter how rainy or sunny it has been, your synthetic lawn offers a lush green landscape. You can’t argue with those results. These are five of the best reasons, among many others, to take a serious look at synthetic grass as being the answer to your landscaping needs. Anybody who has watched Grand Design, the ultimate in home renovation shows, will be aware of the fact that renovation and building projects rarely are completed within the budget. In order to avoid blowing your budget, the Sydney-based firm Archengine Architect recommends that you hire a quality surveyor who can provide you with an estimate on how much the construction will cost prior to submitting a development application to the local council. That will help to ensure that you don’t end up getting a renovation approved that you are unable to afford. When it comes to renovating, this is the largest risk there is when you end up spending more money on your renovations than whatever profits the improvements can be expected to earn when selling your house. It might not be a big problem for you if you plan to live in your house forever. However, it is worth it to keep in mind that you never know when you might need to sell unexpectedly. If you plan to do your own renovations, your budget isn’t the only thing you need to be concerned with. Last year St. Vincent’s Hospital in Sydney conducted a survey which found that 60 percent of those who responded who had finished their own renovations recently had ended up being exposed to asbestos. In homes build prior to 1987, asbestos was used in many products like floor tiles, walls and carpet underlay. 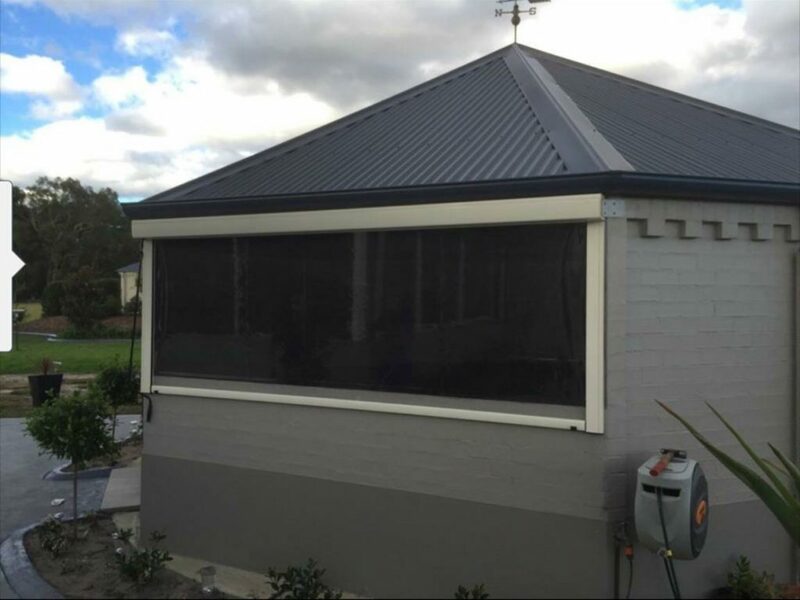 In order to remove asbestos you need to find a company that does asbestos abatement Melbourne with the relevant license for the type of asbetsos that you have – be it bonded or friable asbestos. The reason for doing any renovation is to make improvements to your home and add value for when it is time for you to sell it. Unless you are planning on living in your house forever you need to be careful that whatever renovations you do are completed to the broadest appeal and the highest quality. You can actually end up devaluing your property if you over-personalise it. It is important to guard against doing that. If you do you will only appeal to a small segment of the market of individuals with the same sense of style that you have. In order to command a premium price, it is important to have competition, and in order to do that you must appeal to the largest number of people as possible. One other common trap is many individuals start with a renovation believing that they know what they are doing. However, they soon realise it isn’t all that easy. An architect who is knowledgeable about local council regulation – for example, heritage restrictions- along with a good builder will be able to inform you what you can expect prior to embarking on a renovation process. It is necessary for you to get the right experts to inform you about what you can expect. In order to avoid any nasty surprises, it is important to do your homework first. It is also very important to find reliable builders. Don’t go with the least expensive quote necessarily. Go with the individual or company who is most capable and make sure that you review the quality of their work prior to hiring them. Having shoddy work done can end up cost you a lot more money than you were expecting. Great landscape design is turning into a vital part of homes, and it can build a home’s value considerably. Additionally, landscaping permits property holders to customize their open air space to suit their way of life. To offer you some motivation, the accompanying will consider some of the best landscaping patterns of 2015. 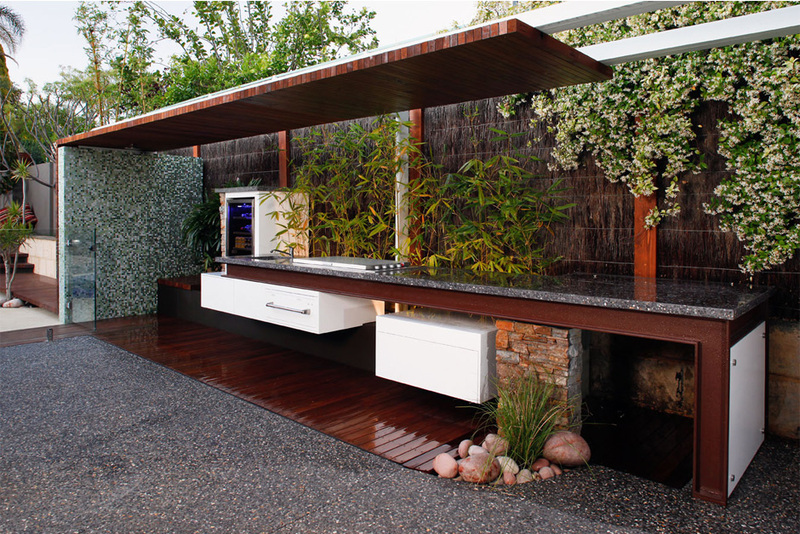 Having an open air kitchen is likewise ascending in fame. You can set up a smaller than usual kitchen with the essential necessities or a kitchen that is completely decked out with new innovation and apparatuses, for example, a pizza broiler. Cooking and diverting in late spring has never been something more. With couches and seats, a chimney and a kitchen, you can party or divert your visitors outside or even simply unwind in nature all on your lavish dejected. For best results, make sure to introduce suitable lighting and utilization furniture that is both weatherproof and strong. Glass offers a cleaner and clearer perspective of your open air space, and security from the wind. Glass encompasses will make your pool zone feel like it’s still a piece of your outside region. 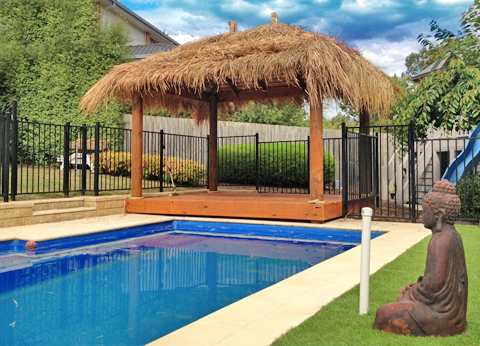 It meets all pool fencing regulations and security gauges. There’s anew craze going around in suburban yards. 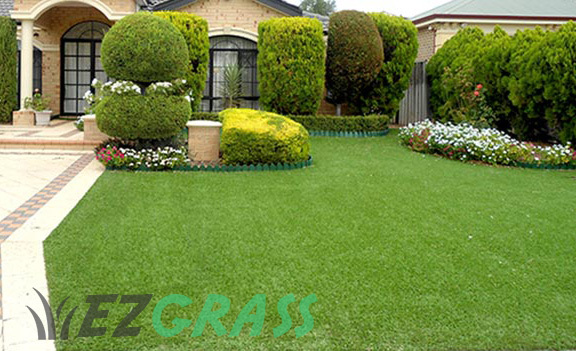 Low maintenance artificial grass has been gaining popularity – particularly in dry climates. It’s one sure way to have a great looking lawn without the upkeep. An open air chimney can make a warm and welcoming outside space. On the off chance that you make a flame pit the point of convergence of your outside living region, it’ll make the absolute best place for your family or companions to get together and unwind in the heart of nature. You can go for a stone or block chimney or a compact steel chimney. 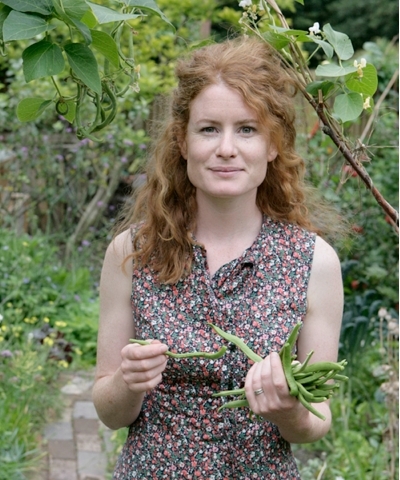 A standout amongst the most prevalent arranging patterns this year is developing your own natural produce at home. With an eatable garden, you can green your space and put nourishment on your table without heading off to the market. Develop herbs, veggies and natural product trees, however above all, plant what you eat. Uniquely crafted scaffolds and water elements are likewise slanting and are extraordinary for supplementing your landscape. You can just place a provincial wooden board over a riverbed of dry stones. Then again, the sound of streaming water makes an unwinding feel. You can include a versatile wellspring, a top of the line water divider or a lake with venturing stones, fish and water plants. In the event that your landscape has constrained space or light or you need to conceal unappealing brickwork or solid, making a vertical garden is the best approach. You can utilize a particular hydroponics and watering framework or creepers and hanging wicker bin. On the off chance that you have a little garden or yard, you can make it seem greater on the off chance that you put huge trees, bushes or stones in the forefront and little components out of sight. You can likewise accomplish this by putting a great deal of things in the frontal area and little to nothing out of sight. A themed garden reveals what you like and who you are. You can draw motivation from a colorful occasion you’ve as of late had – it can be anything from a rainforest, a desert or a Japanese gardens. Imagine closing your eyes and feeling the breeze blow through your Bali Hut. You are not in Bali; you are in your own backyard. Bali Huts are not only romantic but a smart way to provide shelter from the scorching sun. No longer found only on resort islands, Bali Huts are popping up in backyards and gardens everywhere. The internet has opened up whole new buying possibilities and with that always comes scams or online purchase mistakes. This article will give you a run down on the scariest mistakes e-buyers make when making a Bali Hut purchase. What?!? That’s not what I ordered! I bet you never want to say that about your newly purchased Bali Hut, right? Sometimes it can be really scary when you see what you have really purchased. Painted wood instead of stained, rotted thatch, low quality fasteners, too small of a crown, thin rafters and too thin of thatch spacing. You’ve found that your new Bali Hut has not been engineered; it has been put together with low quality materials and shortcuts. Have a look at the bali huts on aaronsoutdoor.com.au/bali-huts to see what quality timber finishes look like. Get every detail of your hut before ordering. Talk to the company and pull out your calculator to make sure all the dimensions add up. You decide you really don’t need to spend the extra money on a 1-2 meter larger hut. You find yourself wishing you had once you get 3 people in your Bali Hut togther. Always buy a little bit larger than you think you’ll need. This gives you a lot more freedom in the future to add something like a spa in your Bali Hut. We all want value but none of us wants to sacrifice quality. I’ve made purchases that were less than all the others and I’ve usually come to regret it. I’ve always said to myself that I wished I had just spent the little bit of extra money to get what I wanted in the first place. The materials and labor all pretty much costs the same, no matter what the size of the company is. If you find a significantly lower cost on a Bali Hut make sure you ask yourself where they cut corners and quality to advertise such a lower price. If you looking for that tropical bali style in your back garden, you need to be weary of what bali huts are on the market. Low quality Bali Huts will only last about 2-4 years before you will need to purchase another one. Is saving that money up front worth it if you know you will have to spend more later, down the road? It will be close to impossible to get your money back from these suppliers. Now that’s truly scary, right? When it comes to looking after your home, one of the biggest decisions that you need to make is how you will be dealing with the outdoors. Is it going to be something that you take your time with, or are you going to simply kick on and hope for the best with the overall design and quality of your landscape? With the right assistance, this kind of problem can be consigned to the past thanks to the efforts of any good landscape architecture firm. They’ll be able to help you put the right things in place and ensure that you look as comfortable with your new garden as possible. Make sure they supply realistic 3D landscape models! Before you begin your search engine marketing (SEM) campaigns, it is important to understand what this form of internet marketing is all about including the different areas it covers. This way, you will have a clearer understanding of what you can expect from SEM when you use it for your website. The main objective of SEM is to give your business website more online visibility by making it appear at the first page of search results. To arrive at this goal, SEM is implemented with a combination of other techniques such as paid advertising, high quality marketing content, and the use of website design that is optimized for search engines. For newbies, this long list of techniques and tools may seem quite daunting to use and manage. However, with practice and dedication to learning more about SEM, any business can ensure a solid spot for its website in search engines. There are three different areas where search engine marketing is more focused on including indexability, authoritativeness and relevance. These three are further discussed below. One quick way to reach the top spots of search results pages is by positioning yourself as an authority in your industry. Search engines recognize business websites that are not only relevant, but also when more people continue to recognize these as their primary reference for their online searches. If you are still new to internet marketing, an excellent way to boost your online presence and reputation is by joining social networks, writing more high quality blogs, and joining different associations that are relevant to your niche. As you build your brand and image, more people will start linking your website to theirs. You can never be indexed or considered as an authority in your field unless what you use the right keywords that will increase your online presence. Thus, you need to target the right and relevant keywords that suit your business. For this task, you can use a number of keyword selection tools that are widely available online. It also helps to use a few secondary keywords to your webpages, which should be used sparingly in your content. There are certainly several other things you need to know about SEM, and these are only the basics that can help you gain an idea about how it works. So, be sure to continue with your efforts to learn more about SEM, so you can apply it in your marketing campaigns and obtain your desired results. Budget is huge when it comes to SEO, if you can’t afford to spend much, just take it slow. Don’t ask an Agency to rank you in 3 months for $500, because they will wreck your site, and it will recover from that. Don’t even think about borrowing money to fund SEO, it is a long and tedious process with no guaranteed pay-off. You are better off integrating it into a long term business approach. Robyn Archer is an outdoor design buff with 12 years experience in landscaping and backyard design services. Visit the contact page to arrange a consultation.